Professional engineering expertise specializing in the troubleshooting of industrial fans and fan systems. FLOWCARE Engineering Inc. is an engineering firm that specializes in providing independent expertise for fan and blower systems. FLOWCARE's expertise in industrial and commercial fan applications bridges technology gaps that exist between process designers, vendors and end-users. From mine ventilation to pollution control, power plant draft, and kiln induced draft applications; FLOWCARE has engineered, tested, conducted trouble-shooting, upgraded fan equipment and implemented solutions for the most complex and difficult of applications. Our services can be applied to a full range of projects, working with the initial design concept of new systems through to the required upgrade of antiquated systems. Engineering Services and Analysis Expertise: Stress, fatigue, natural frequency and critical speed; Modal analysis and strain gauge measurements; Computational Fluid Dynamics; Aerodynamic design optimisation; Finite Element Analysis. Performance Optimisation: Energy Audits and Feasibility Studies; Energy savings and performance enhancement upgrades; Aerodynamic and mechanical performance testing and analysis. Problem Analysis and Correction: Mechanical failure analysis of rotors, shafts, bearings and couplings; Identification and resolution of deficient fan and system performance; Specialists for problems in non-traditional fan applications. 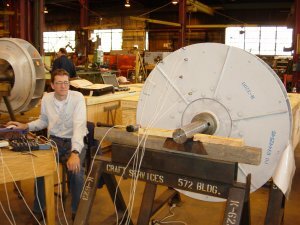 Vibration Analysis and Mitigation: Extensive experience resolving unique fan and blower problems such as pressure pulsations, stall, resonance, VFD induced torsional vibrations, structural deficiencies, etc; Acoustic engineering and fan noise control; Vibration control design. Life Extension Assessments: Analysis of aging equipment; Life projection analysis for rebuild or retrofit of critical components for extended life, increased performance or problem resolution; Fatigue assessment for VFD retrofit applications. Project Management and Training: Preparation of technical specifications; Technical bid evaluation and design review; Source inspections and review of manufacturer's engineering and test reports; Post-installation testing to validate performance, efficiency and mechanical guarantee terms; Delivery of training seminars covering the full range of fan technology.